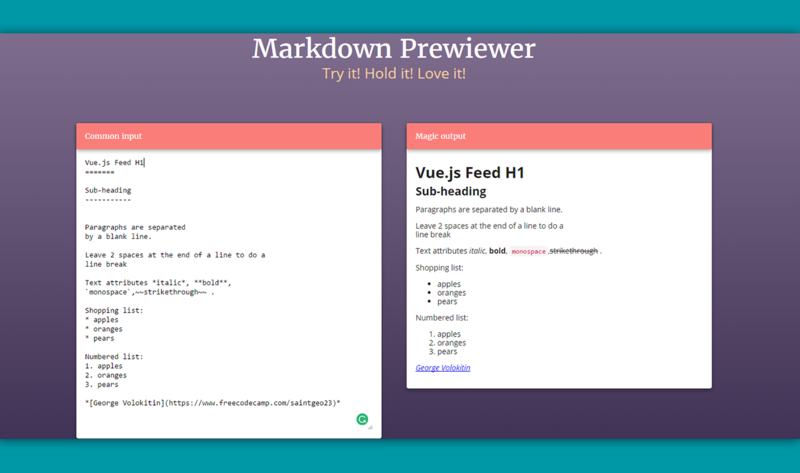 A markdown previewer made with Vue.js. Try editing the content in the Common input column, with markdown rules in mind to see the result in realtime in the Magic output one. Created and submitted by George Martovski, for FreeCodeCamp project.